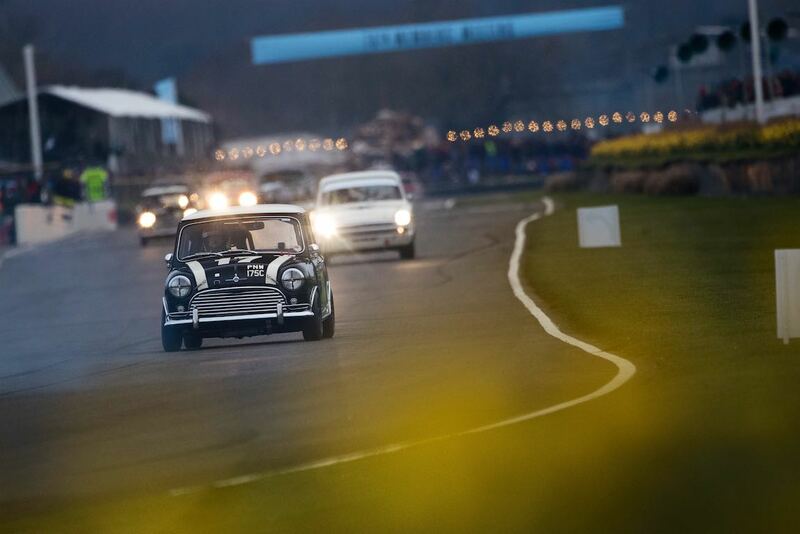 The Goodwood Members Meeting 2018 was staged over the weekend of 17-18 March at the iconic 2.4-mile Goodwood Motor Circuit in West Sussex, England. 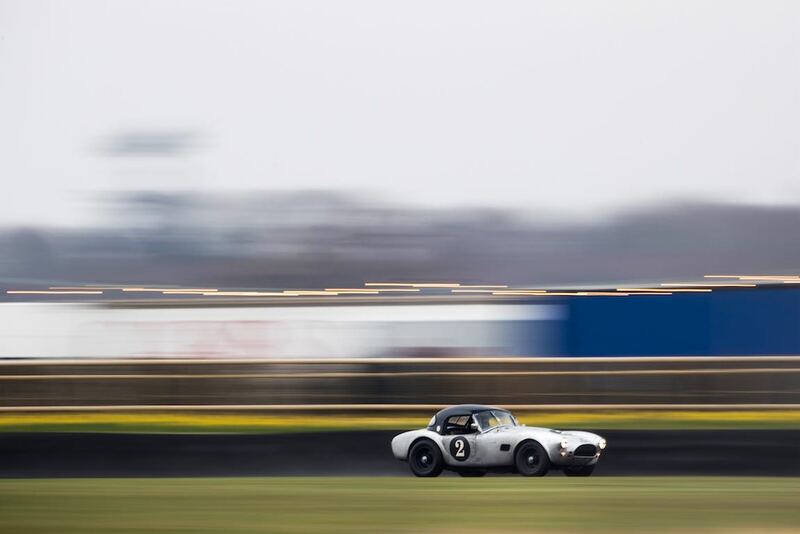 Visitors were treated to close wheel-to-wheel racing at the 76th Members’ Meeting, despite conditions that ranged from bitter cold to bitter cold with snow. 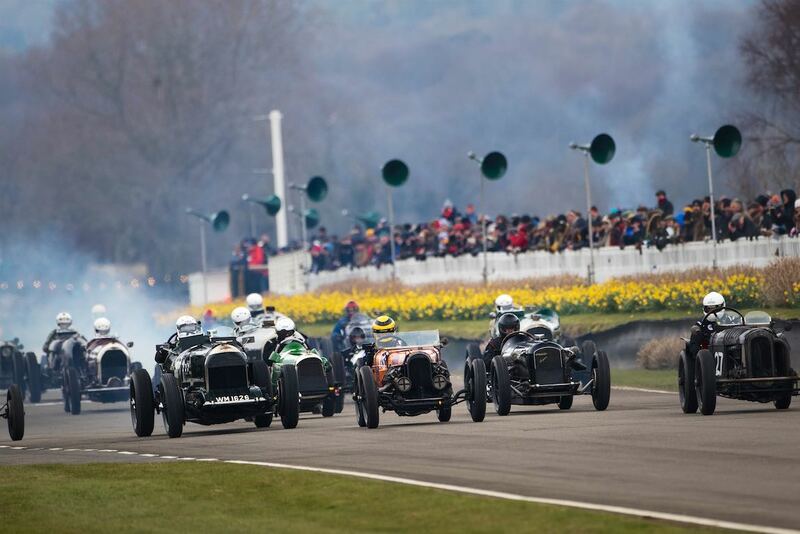 New races for the Goodwood Members Meeting 2018 included the Caracciola Sportwagenrennen for pre-war sports cars and the Bolster Cup, named after legendary journalist, ‘specials’ builder and ERA racer, John Bolster. 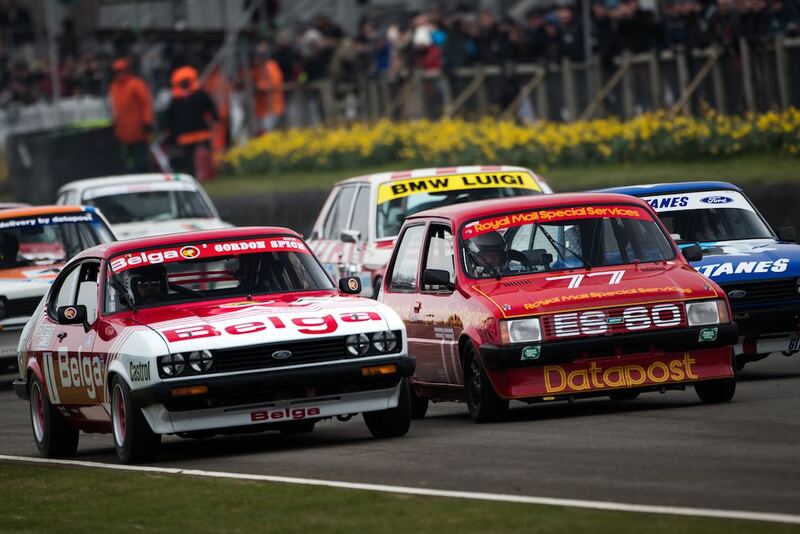 In addition to a packed race program, this year’s event also featured high-speed demonstrations of V8-engined Formula 5000 single-seaters and flame-spitting Group 5 sports and saloon cars. 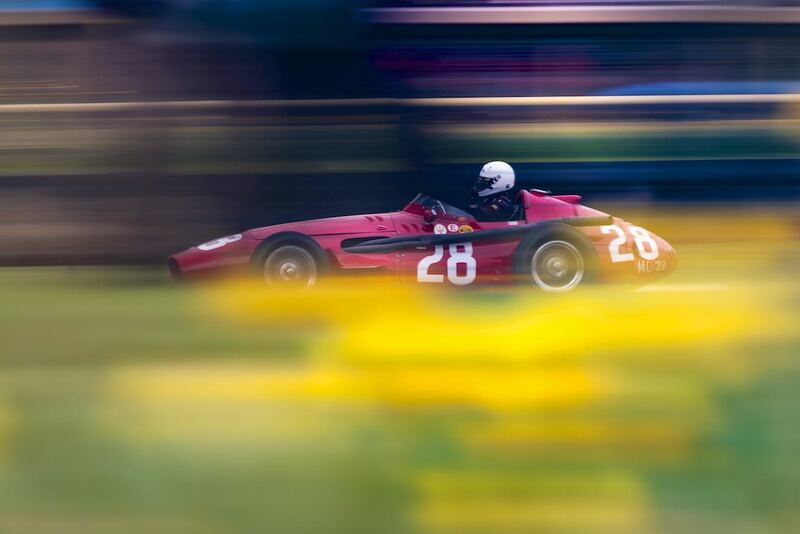 The Formula 5000 single-seaters thundered around the Goodwood Motor Circuit as the Goodwood Members Meeting 2018 honoured these charismatic racers. This category was hugely popular in Europe, the USA and Australia during the late 1960s and much of the ’70s, and 30 of these small-block V8-engined monsters ventured trackside, ranging from such well-known marques as Lola, Chevron and McLaren to the one-off Hepworth-Ferguson four-wheel drive machine and a brace of ultra-rare Begg-Chevrolets. Several period drivers were reunited with their former mounts including British ace, Tony Trimmer. Goodwood also paid tribute to its long-serving and incomparable maestro of the microphone Henry Hope-Frost. The hugely-popular commentator and journalist recently died in a road accident, and the loss of ‘Fever’ is a palpable one within the motorsport community. The loudest homage possible to the man dubbed by many as the ‘Voice of Goodwood’ took place shortly before the Formula 5000 demonstration, as the engines fired up for a ‘Minute of Fever’, a word strongly associated with Henry and his passion-filled commentary. For those wishing to support the Hope-Frost family, visit the JustGiving page created to make a donation. 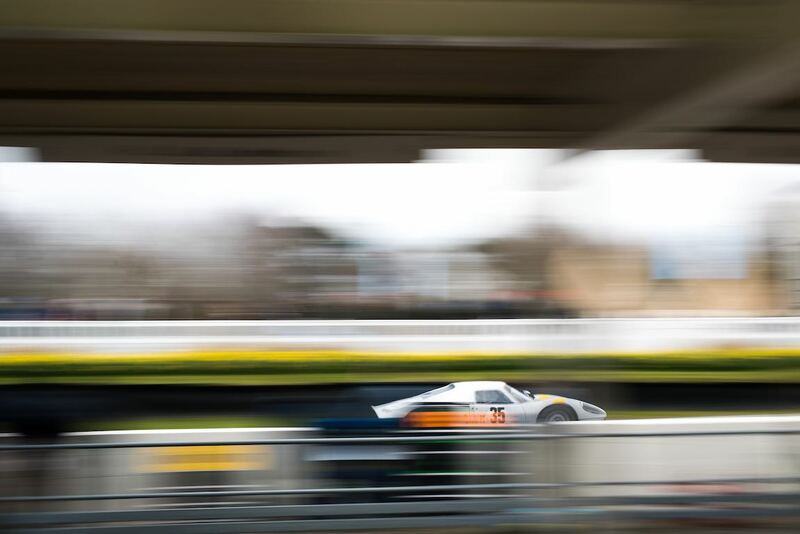 Similar to 2015, 2016 and 2017, Sports Car Digest also documented the 2018 Goodwood Members Meeting with the following selections from the 76th Goodwood Road and Racing Club event. Nice photos and coverage as always. Goodwood is still on my “bucket list” thanks to you guys.